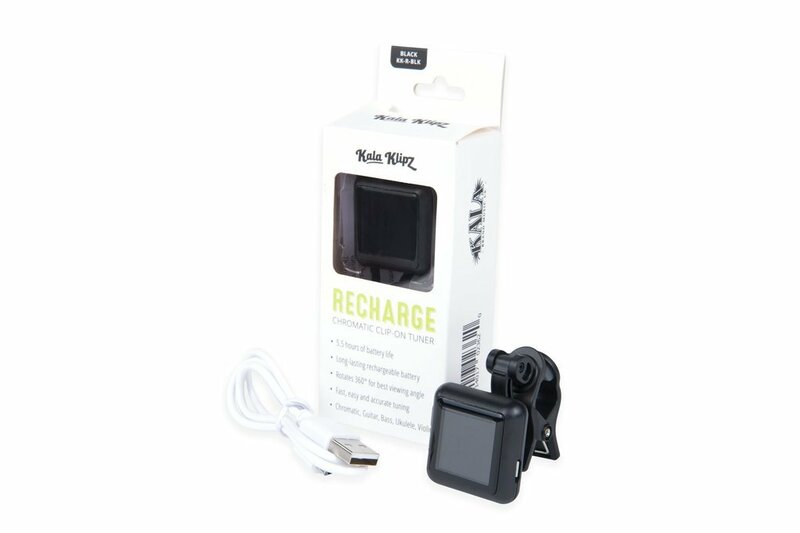 Our first rechargeable, the Kala Klipz Recharge clip-on tuner has Chromatic, Guitar, Bass, Ukulele, and Violin tuning settings to get most any stringed instrument in tune. The arm swivels a full 360° and tilts to find the angle that displays the screen best for you. Available in black, white, or gray.